The HD Express driver installer with Avid support is now available for download. This updated software installer provides compatibility with (and is required for) the Media Composer 6.5 family of products. 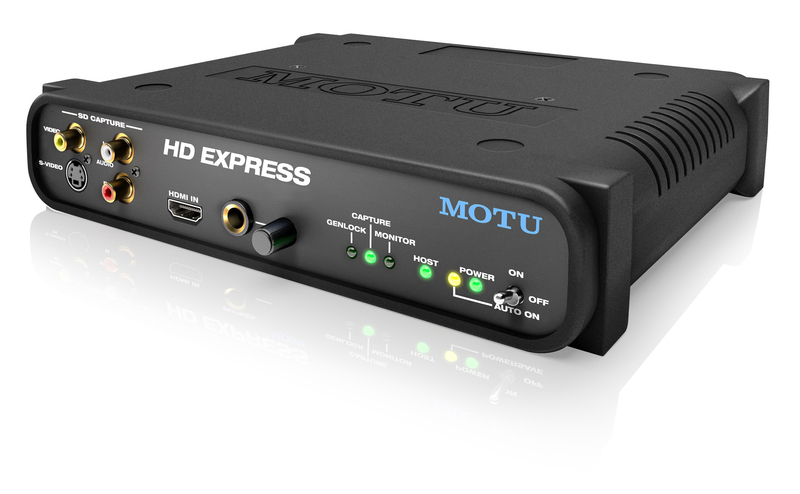 The HD Express opens your Mac or Windows computer to the world of HDMI® video, the next-generation digital video connectivity standard found on today's latest HD cameras, monitors and set top boxes. HDMI supports full-raster, pixel-for-pixel digital clarity with no video compression, resulting in stunning image quality and color depth that far surpasses highly-compressed workflows based on DV, HDV, AVC and similar capture codecs. In fact, on many of today's cameras, HDMI output streams directly from a camera’s image sensor, bypassing the compression chip, allowing the HD Express to deliver an absolutely pristine, uncompressed HD digital video signal straight from the camera's imager to your computer. If you require the best-possible image quality, you can work with uncompressed HD and use the money you save on the HD Express for other system components required for uncompressed HD, such as fast storage. Or, if you prefer to edit more conveniently at a lower data rate, you can choose Apple ProRes, ProRes HQ, Avid DNxHD, or the codec of your choice in Avid Media Composer 6.5 or Apple Final Cut Pro for maximum CPU efficiency and smooth editing. In Premiere Pro on Windows, you can choose among several popular codecs, including DVCProHD. By choosing a codec directly supported by your host, you eliminate unnecessary extra stages of compression and decompression, which produces maximum CPU efficiency and smooth editing. To monitor your work with the best possible image quality, connect the HD Express output to your favorite affordable plasma, LCD monitor or projector via HDMI or DVI (DVI adapter sold separately). The HD Express provides all the legacy analog video connectors you need for capturing and monitoring component HD/SD, composite and S-Video in 10-bit 4:2:2 broadcast quality PAL or NTSC. 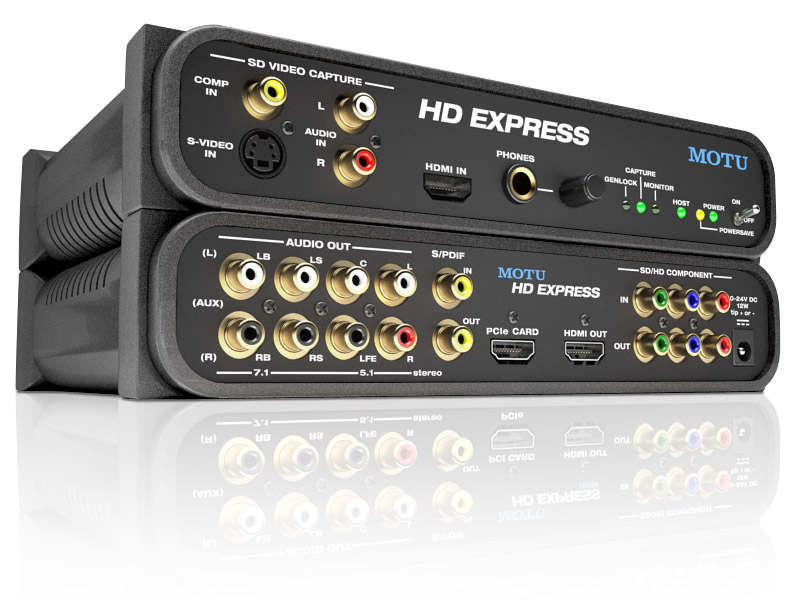 The HD Express captures and plays all eight channels of embedded HDMI audio, and it even provides eight channels of analog audio output on convenient RCA jacks, which you can connect directly to powered speakers for full 5.1 or 7.1 surround audio monitoring. S/PDIF digital I/O is also provided. Do you require high-performance desktop operation? The HD Express is available with PCI Express card connectivity for today’s ultra-fast, multi-core Mac and PC towers. Need to go mobile? The HD Express is also available with an ExpressCard adapter for any current-generation Mac or Windows laptop equipped with an ExpressCard slot. From initial capture to final finishing, the HD Express delivers exceptional video I/O performance and quality.